With the Softalk for Cell Phone, speaking on the phone for extended periods of time is now comfortable and convenient with the Shoulder Rest for Cell Phones. It keeps your hands free when talking on the phone with no additional wires, headsets or devices. It is also infused with Microban antimicrobial product protection for longer product life. Use the included self-stick strip to quickly attach it and remove it from nearly any cell phone. The unique strip is reusable. 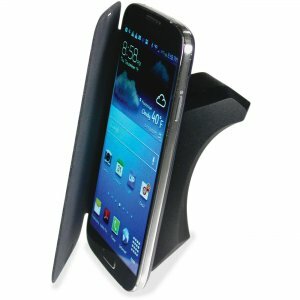 This should rest can also function as a convenient, angled phone stand when not in use.